Need an efficient transporter of goods? Consider our Van Body addition for our gas or EV model. Made of high quality aluminum, heavy duty steel hinges and door lock. 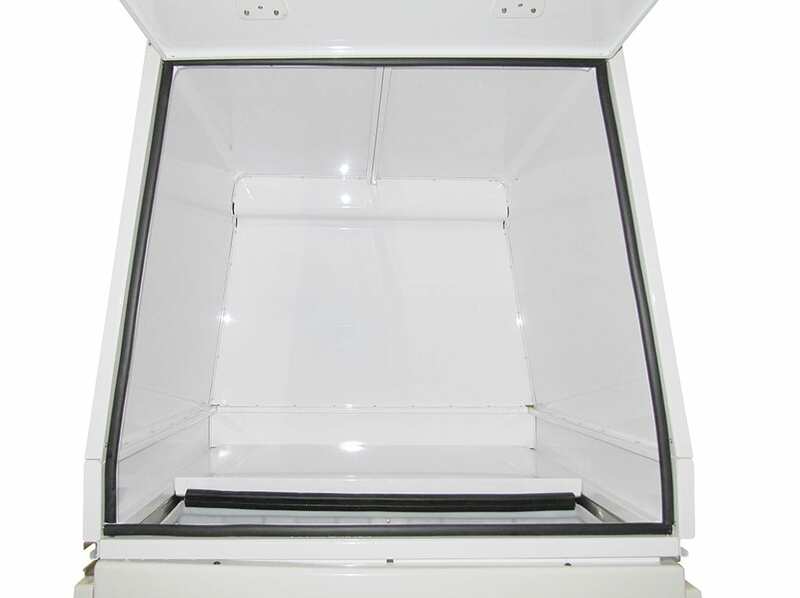 The GO-4 is ideal for delivery of small parcels, packages, envelopes or even equipment. 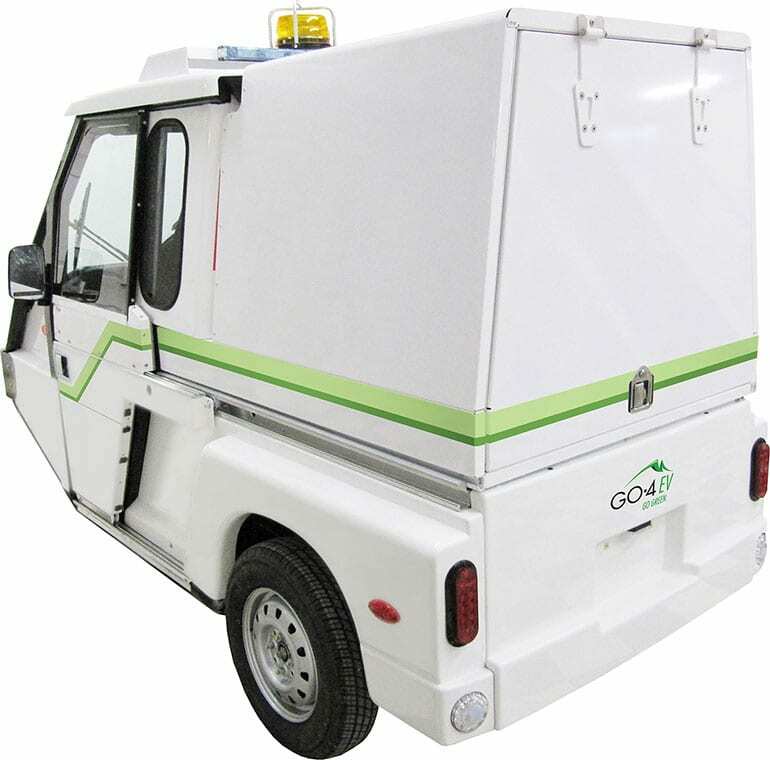 Due to the compact design the GO-4 is well poised to operate in dense locations, or when fuel and operational efficiencies are a concern. 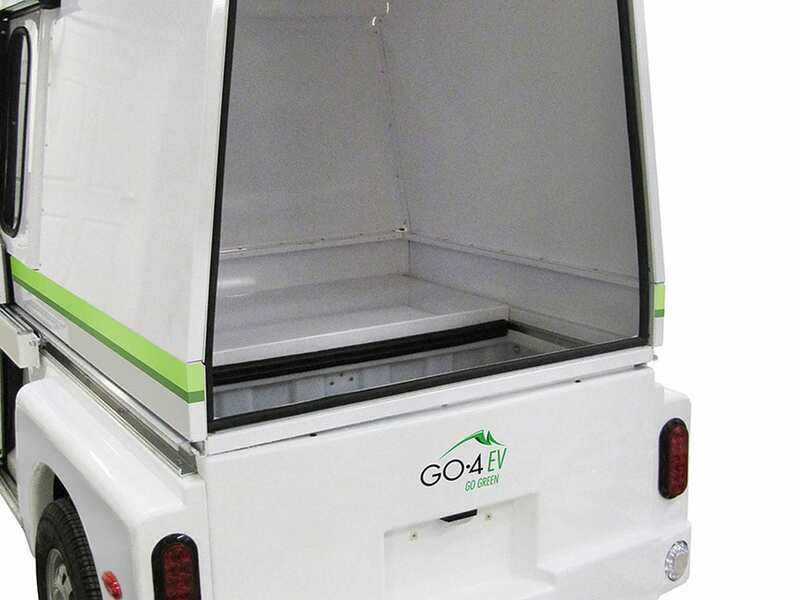 Consider our GO-4 EV with Van body for Zero emissions commuting. Please inquire for specific cargo loads. It can be offered with the gas or electric drive train. The following link is for our brochure and vehicle specifications.